Nothing boosts a person’s confidence more than knowing that his or her smile is showing off beautiful, straight teeth. Unfortunately, not everyone is born with a picture-perfect smile and orthodontic treatment is often needed to correct crooked teeth, spacing problems or poor dental alignment. While in the past those without dental insurance typically paid for braces out-of-pocket, dental discount plans now offer an alternative that makes orthodontic treatment more affordable. 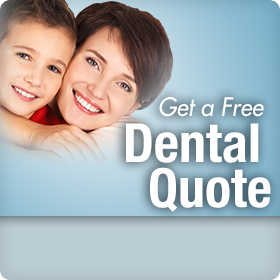 Talk with your dentist to ensure that there are no hidden costs such as for x-rays or braces removal. Try to choose an orthodontist in a smaller town or from a dental school, as this can in itself reduce your costs by as much as 30%. Take good care of your teeth while wearing braces so that you don’t suffer tooth decay or gum disease, which create the need for extra procedures and extra costs. Orthodontic treatment isn’t just about smiles; it’s an important lifetime investment in your dental health and general well-being. So don’t let the lack of dental insurance keep you from getting the braces you need. My Generation Benefits offers ConfiDent® dental discount plans from Careington®, which are among the most widely accepted by dentists in the country. Click on the link to the right to get access to savings on your family’s orthodontic needs today. Dental Insurance: Will It Cover Teeth Whitening Procedures? Full Coverage Dental Insurance: Myth or Reality?